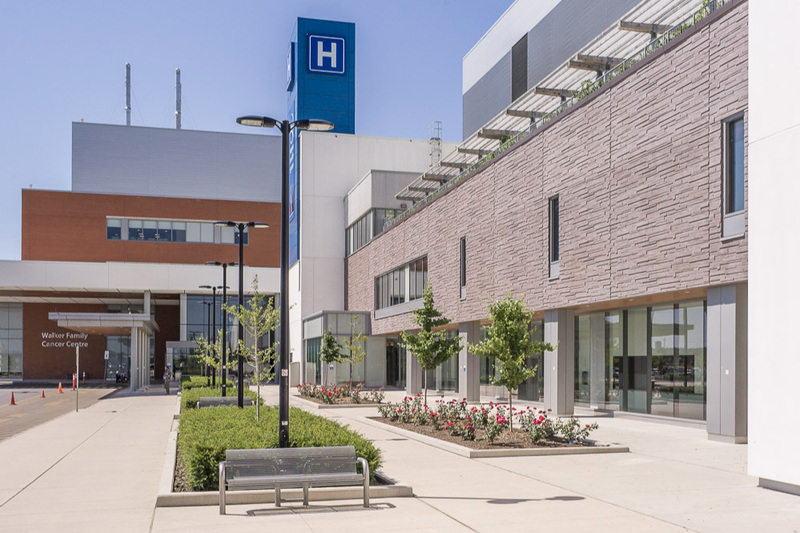 The St. Catharines Hospital and Walker Family Cancer Centre is a regional hospital and health care facility providing acute and critical inpatient services. The landscape is designed to be sensitive to patient and family needs and to offer an inspiring and therapeutic environment. 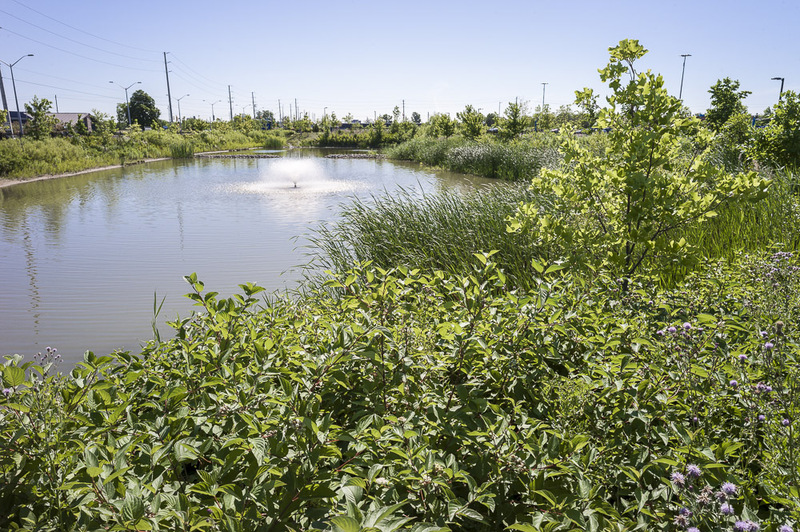 Landscape features include specialized gardens promoting healing and mental health as well as an extensive naturalized pathway system around the property. Targeted to achieve LEED Silver certification, our design also features densely treed street frontages and abundant planting. 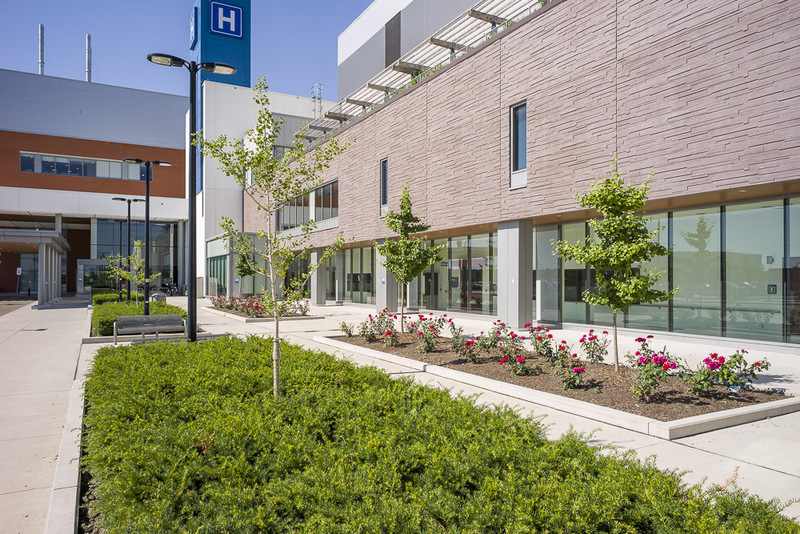 A fully planted stormwater management pond, with a decorative stream that uses natural runoff, gives hospital users a chance to enjoy the soothing qualities of water.